Gandalf and Captain Jean-Luc Picard walk into a bar. I’m sure someone out there has a great punchline for that joke, but I’m stating it as fact. 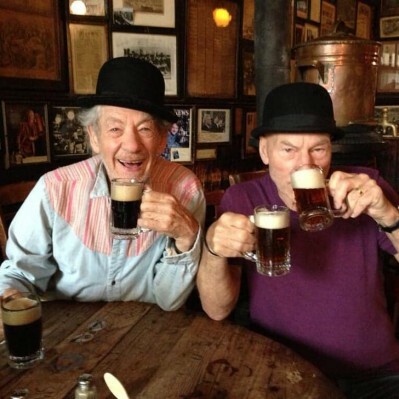 They really did walk into a bar, and they had a drink – or four. 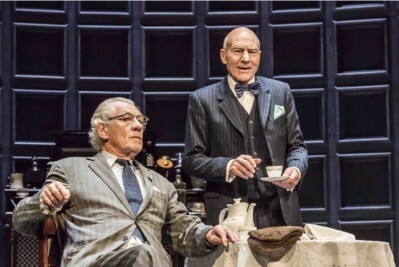 Best friends Sir Ian McKellen and Sir Patrick Stewart have a pretty legendary bromance. 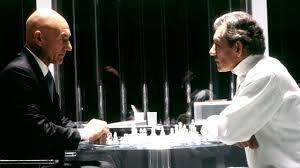 Both actors got their start in theatre before hitting it big in television and film. 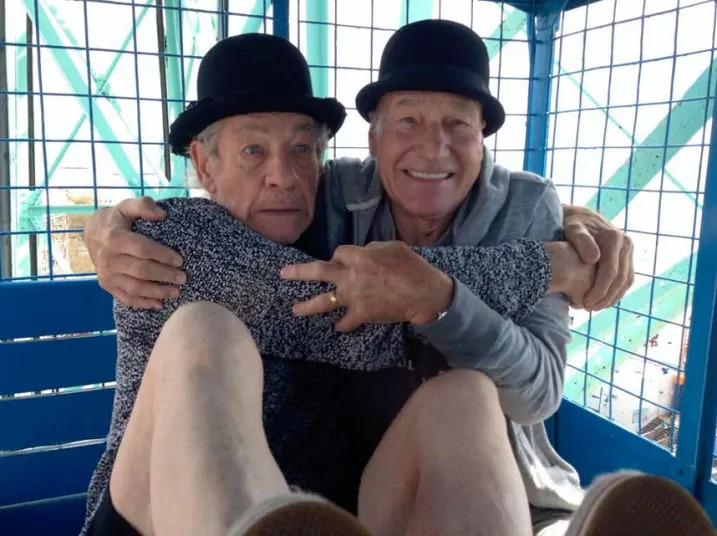 Stewart, of course, found fame with Star Trek: The Next Generation, and McKellen gained prominence with his portrayal of Gandalf in the Lord of The Rings films. 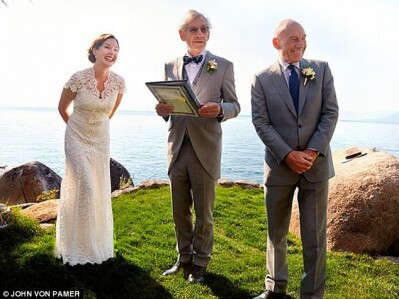 They first met in the 70s, but became very close while filming the X-Men movies, where they played rival mutant leaders Magneto and Professor Xavier. 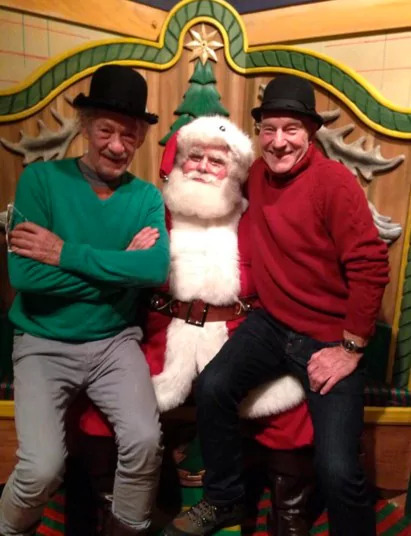 Since working on the X-Men films together, the two have become incredibly close. In fact, McKellen even officiated at Stewart’s wedding last year. 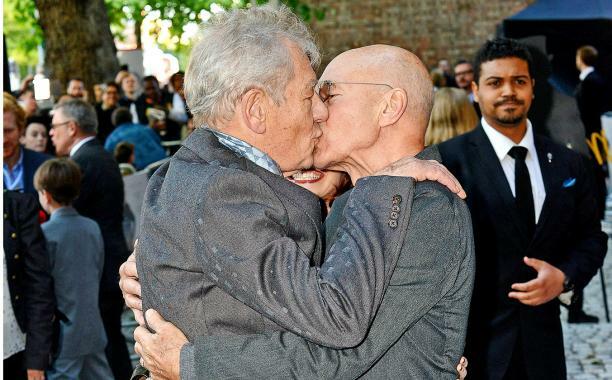 Stewart also gave McKellen a kiss on the red carpet at the premiere of McKellen’s film, Mr. Holmes. 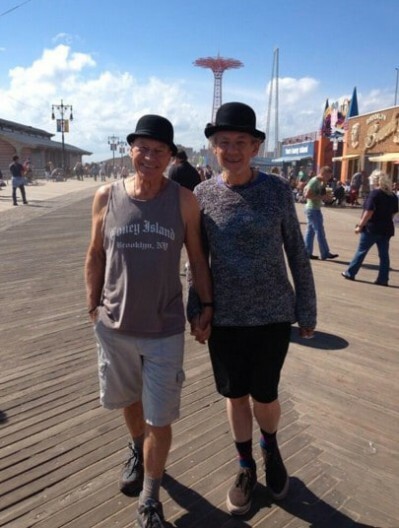 While promoting the two plays they star in together, Waiting for Godot and No Man’s Land, McKellen and Stewart tweeted out a series of fun photos of them enjoying a day together in New York City. Below are a few highlights. I think we can all agree that these two definitely define #relationshipgoals. They got scared on a carnival ride. 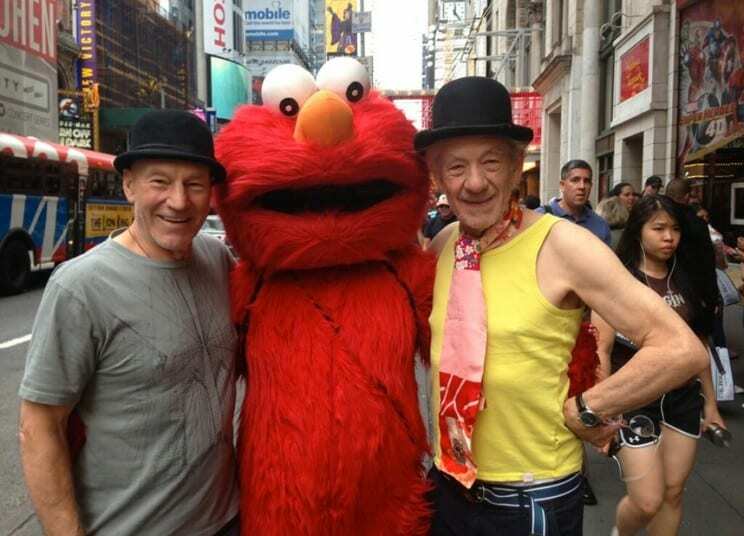 They stopped to pose with Elmo in Times Square. 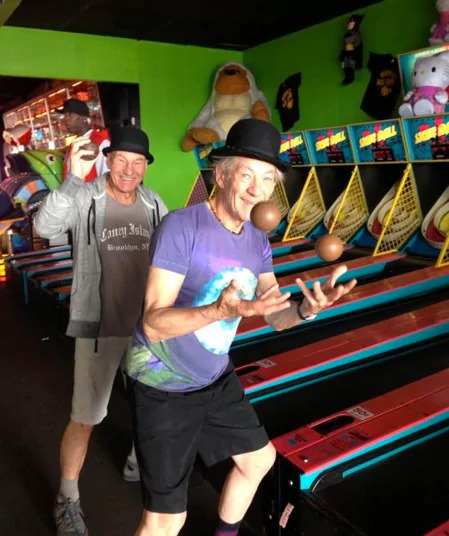 They visited an arcade and had the best time EVER. And they let Santa know what they wanted for Christmas. Can’t get enough of this inspiring duo? 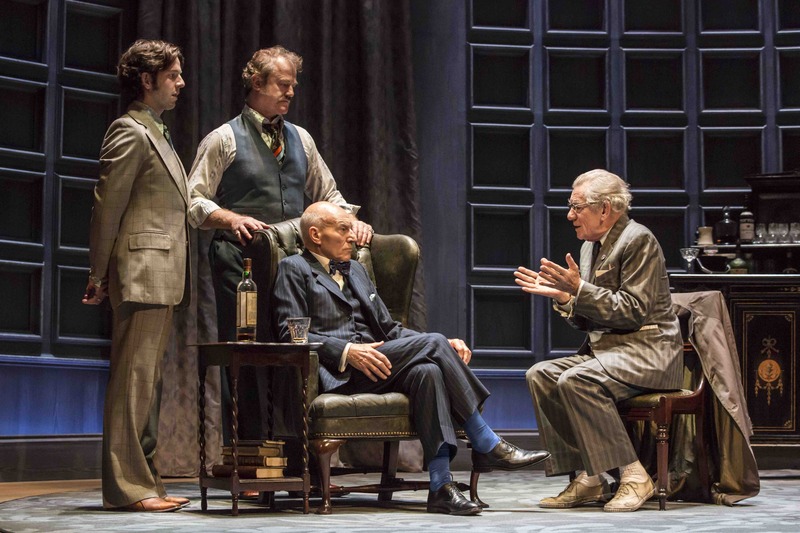 You can catch their next project, National Theatre Live’s No Man’s Land, broadcast live to Cineplex theatres across Canada on December 15th. The performance of Harold Pinter’s classic play will also have encore performances December 18 and January 14. Visit Cineplex.com for tickets and showtimes. Photos courtesy of Entertainment Weekly, Pop Mythology, Jon Von Pamer, The Telegraph & National Theatre Live.